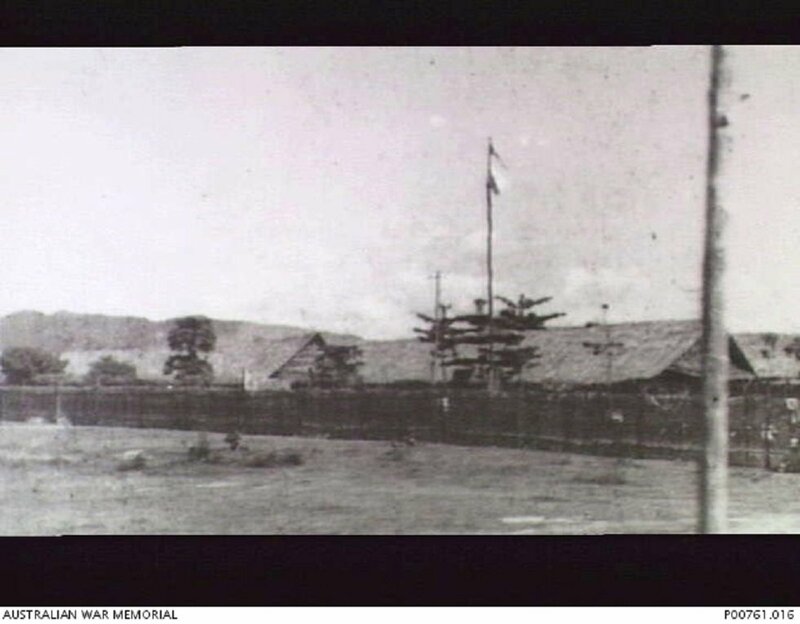 Officers' huts at Kanburi POW Camp, September 1945. Image donated by A. Mackinnon, provided courtesy of Australian War Memorial. 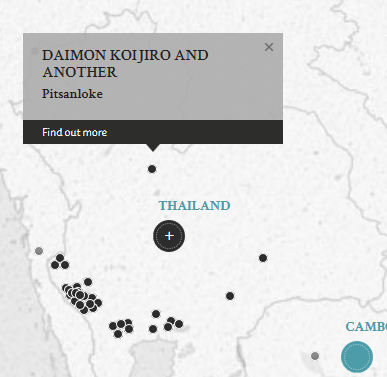 Two defendants, being members of the staff of Nakon Nyok POW camp, were charged for ill-treatment of POWs that resulted in the deaths of a number of named British POWs - Private Chittock and Tuton, Driver Weir, and Lance Bombardier Gardiner. These named British POWs were subsequently removed from the charge when the court issues its findings. The defence argued that the court should not believe everything said by the British POWs as true because they are British - appears to indicate some fear of bias. Daimon, Koijiro. Captain. From Japanese military. From Japan. Guilty. 10 years' imprisonment. Sentence confirmed. Noro, Junichi [Juinichi]. Sergeant Major. From Japanese military. From Japan. Guilty. 15 years' imprisonment. Sentence confirmed. McMath, J. C. Major. From British military. Stephen Gordons, L. B. Major. From British military. Tokunaga, Shoji. Civilian. Prosecutor, Tokyo High Court.